For Rhett and Lily, it’s love at first sight until her deception comes to light and pitches their relationship into a disastrous tailspin. Well-meaning friends are determined to intercede and resort to inept high jinks to reunite the estranged couple while a wicked ex-girlfriend plays dirty to keep the couple apart. $2.99 on Kindle. 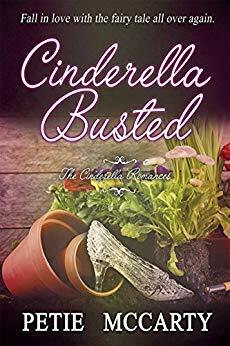 Find more books like "Cinderella Busted" on kobovskindlereviews.com. We feature both reviews of ereaders and discounted + free books on Kindle. Browse more books in the Romance. Disclaimer: "Cinderella Busted" price was accurate on April 10th, 2019. However, Amazon Kindle book prices can and do change frequently and without notice. Before you buy a book on Kindle, it's best to double check the price. If you purchased a Kindle book that you thought was free, you can return it by following the Kindle book return instructions here. Next Next post: Free: Shattered: #1 How will he Recover?